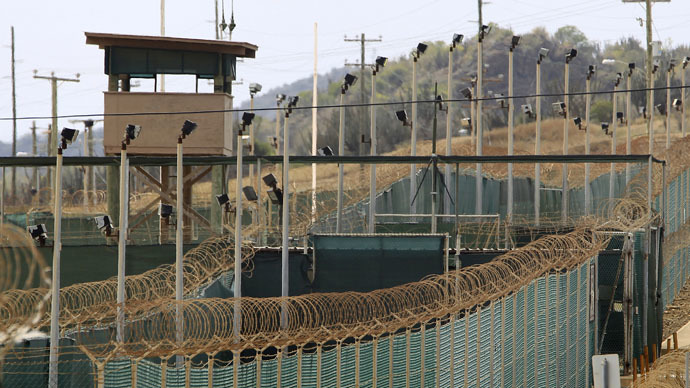 The United States will not relinquish its military base at Guantanamo Bay, or lift other embargoes aimed at Havana at this time, the White House said, despite requests from Cuban President Raúl Castro. During a scheduled briefing on Thursday, the White House press secretary said that US President Barack Obama will not be heeding the requests recently made by his Cuban counterpart in the wake of a resetting of relations between the two nations. On Wednesday, Castro said the US should officially end the economic embargo that’s been long imposed, and forfeit the detention center it maintains at Guantanamo Bay. The requests followed news that both nations have decided to re-open diplomatic avenues. Weighing in on Castro’s request, White House press secretary Josh Earnest suggested on Thursday that the Cuban leader shouldn’t hold his breath. “I think what [Castro’s] comments highlight is there are pretty clear differences between establishing diplomatic relations and carrying out the longer process of normalizing relations,” Earnest said, according to the Washington Times. Despite recent attempts to rekindle the weary relationship between the two, Earnest said that the Obama and Castro administrations are far from seeing eye-to-eye at this point on each and every issue. “There are a variety of concerns we have with the way the Castro regime treats political dissidents, the way they treat individuals who are trying to freely express their views, even the way they treat some reporters,” the Times quoted Earnest as saying. Earlier this week, the Cuban leader said the US should provide compensation for what he called decades of “human and economic damage” brought on by American-imposed embargoes and trade policies. "He could use with resolve his broad executive powers to substantially change the scope of the blockade, even without the Congress decision," Castro said. In mid-December, both Castro and Obama announced during concurrent news conferences that the two nations would try to start anew after conflicting ideologies led to a split, then sanctions, more than a half-century earlier.